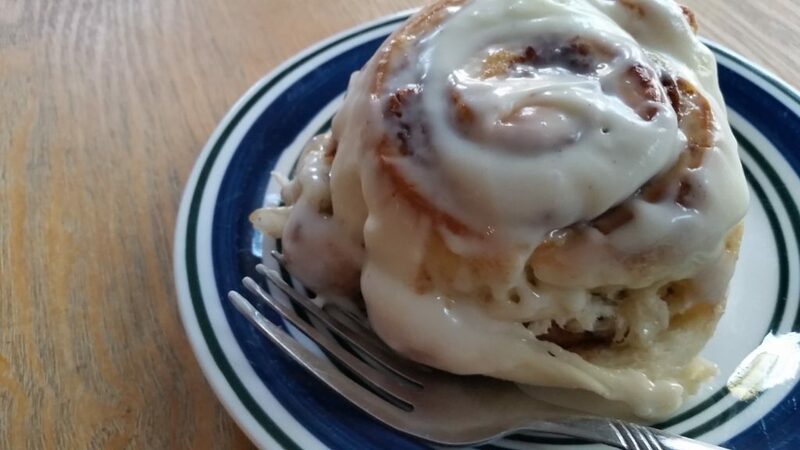 I love a good cinnamon roll. 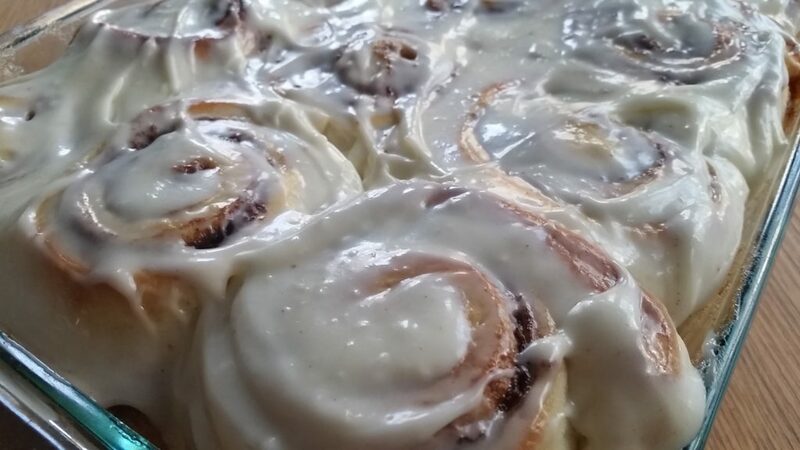 The gooey cinnamon-sugary center, drenched in cream cheese frosting. 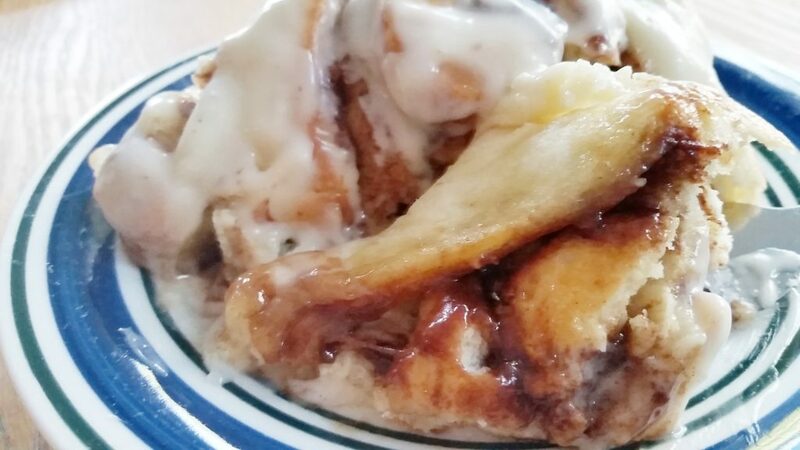 Have you ever had homemade cinnamon rolls? I’m here today to show you exactly what to do to enjoy this delicious treat. 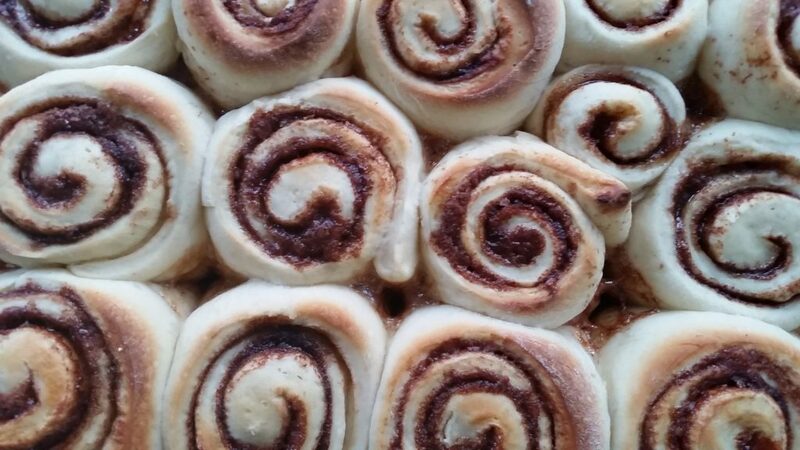 I only make cinnamon rolls once a year (Christmas morning to be exact). However, to make things easier for myself, I prepare them the night before and throw them into the oven Christmas morning as we open presents. It’s our little Christmas morning tradition. Luckily I am an avid Goodwill shopper and purchased a bread machine a few years ago for the low price of $6. Which is great because it makes this recipe that much easier when I prepare it in my bread machine. Add the ingredients as your bread machine states, turn it on the dough cycle and let it do all the hard work. 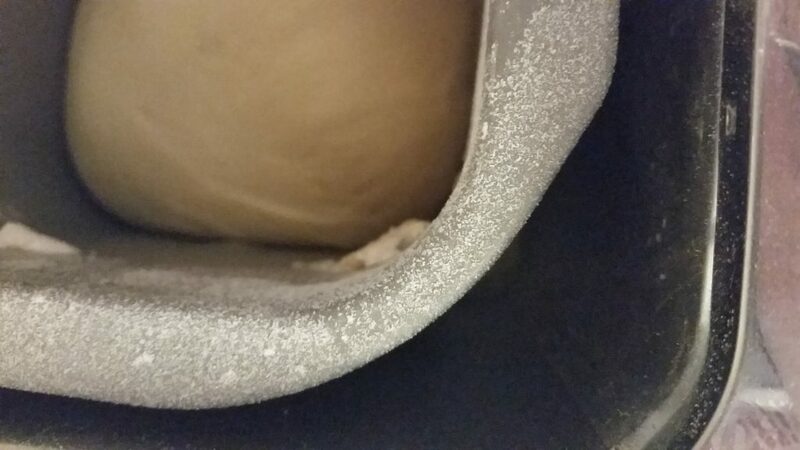 Once it’s done; remove the dough, placing it one a lightly floured surface and roll it out. 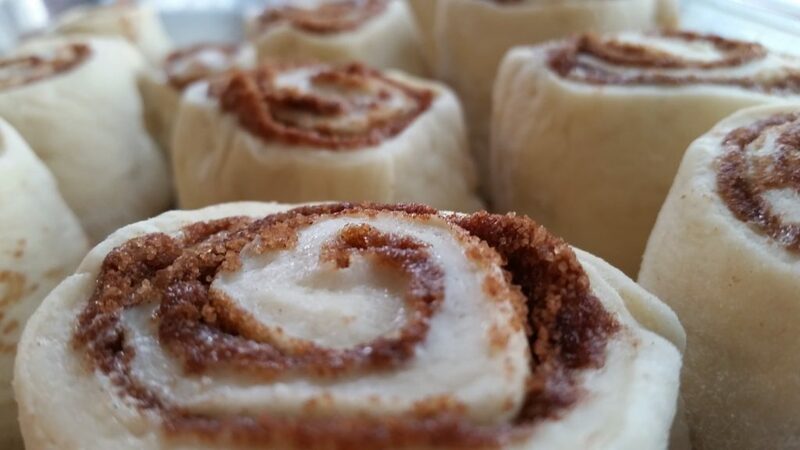 After you lather is up with butter, place the cinnamon sugar mixture atop of it and roll it up! I cut it in about 3 inch sections, which were a great size for us. After placing it in the pan, cover it with foil or Saran wrap and place in fridge until morning. In the morning set you oven to 350, remove Saran wrap or foil from cinnamon rolls and throw them in the oven for about 20-25 minutes. 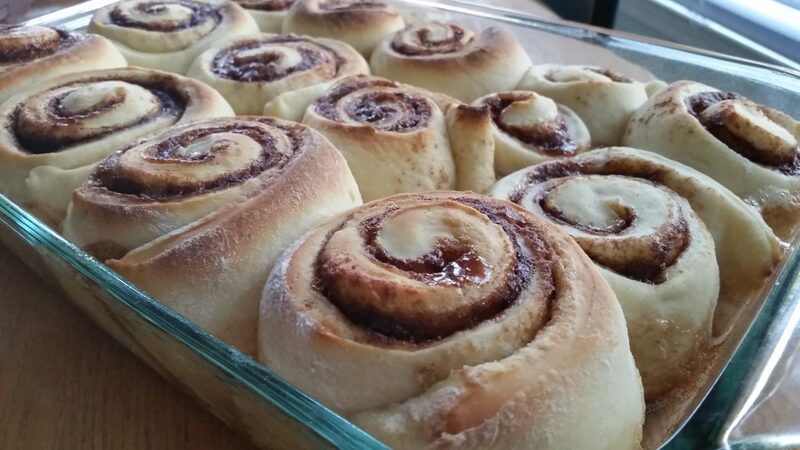 As the cinnamon rolls are baking, mix a room temperature butter and a 1/2 a brick of cream cheese until smooth. Add 2 cups of powdered sugar, and 1 tsp of vanilla. Add milk as needed until you get the consistency you want. And then the most important part. Eat it. Enjoy it. Indulge into the goodness of this sugary sweet. These are delicious. I love-making them for my family and I would totally make them more often, but then I would have to put a lock on the fridge. I have a sugar weakness. Add first 7 ingredients according to bread machine. In the morning, preheat oven to 350 degrees F.
Meanwhile, cream together cream cheese and butter, add powdered sugar and vanilla. Add milk until you get your desired consistency. 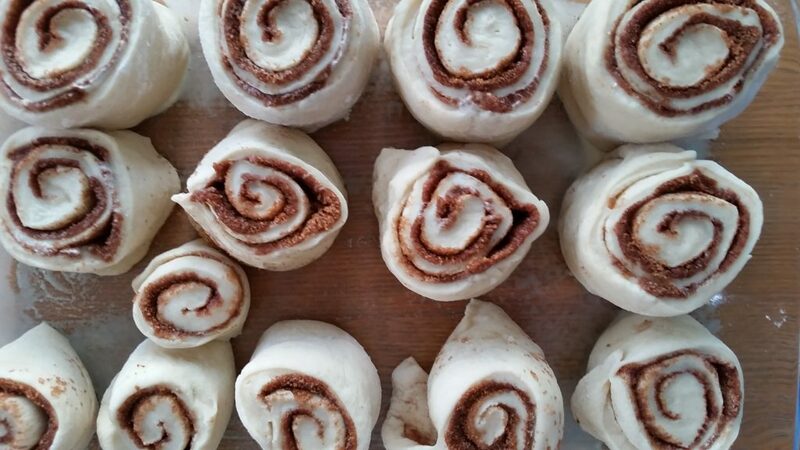 Remove rolls from oven and spread cream cheese frosting.